Learn to swim at one of the best swim schools in the area. Lessons are open to all ages, from 3 yrs old to adult and develop a swimmer's essential skills to a competent level. With training squads focussed on developing a swimmer's technique and stamina appropriately, Runnymede continues to produce swimmers competing at county, regional and national levels. Runnymede's SwimAbility Squad has gone from strength to strength and now brings home success in national championships. 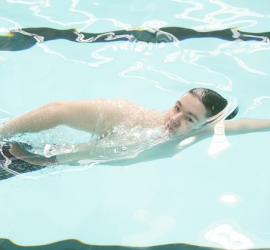 SwimAbility aims to make swimming accessible to those with disabilities. Need to get in touch with someone at the club, click HERE to get contact details. The Jack Petchey Achievement Award scheme is a reward and recognition initiative which enables us to celebrate the achievements of our young people as well as receive additional funding. Check out the Jack Petchey Award board in the Club Room or find out about the monthly winners in the eNewsletters. We need volunteers help with the running of the Club. Can you spare some of your time to help us? Please click HERE to find out. Runnymede Swimming Club in Benfleet, South Essex, strives to make swimming as accessible as possible to all, from lessons for learners and improvers, and training squads for developing swimmers to competitive levels, as well as a SwimAbility squad to meet the needs and challenges of social and competitive swimming for people with physical and learning disabilities. 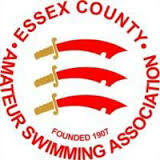 We are proud to be affiliated to Swim England (the national governing body for swimming in England) and of our accreditation under the SwimMark scheme.